At W&M not all the learning happens in the classroom. I have been fortunate to take some fun and unconventional classes through the kinesiology department at the College. Adventure Games, Ropes Facilitation, and Outdoor Leadership, just to name a few, are all taught on our campus ropes course. It has become my favorite place on campus because of the memories I made from doing silly activities from hula hooping to Frisbee tossing, tree climbing to zip-lining, and tightrope walking to high-top swinging. Although the classes are designed to be a good time, I’ve learned a lot about leadership such as: collaborative teamwork, effective communication, innovative thinking, and critical responsiveness. 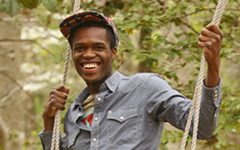 My appreciation for leadership growth offered by my classes on the ropes course prompted me to work there. I began facilitating programs on the course that challenged groups to accomplish tasks both individually and as a whole while learning and having fun. 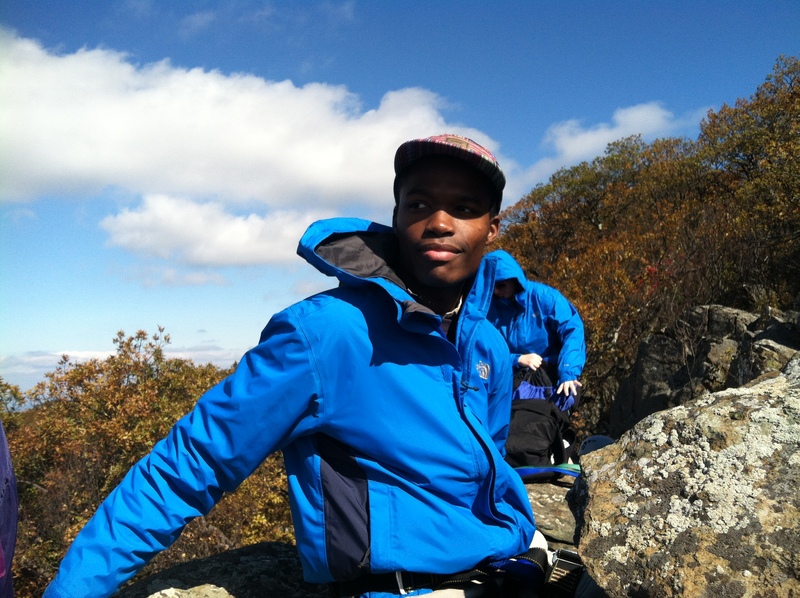 Following up my love of the ropes course, I began working at a rock climbing gym in my hometown. 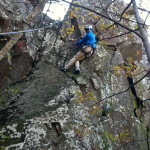 Rock climbing is an exciting sport that encourages intelligent and creative thinking. 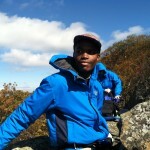 After a year of climbing and working at the gym I became hooked and decided to a rock climbing course at W&M. 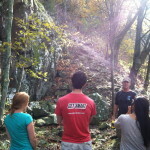 The rock climbing class was so much fun! Despite having experience, I learned a lot from my peers and professor about technique. In class we practiced knots, indoor climbing, outdoor rappelling, and climbing safety. 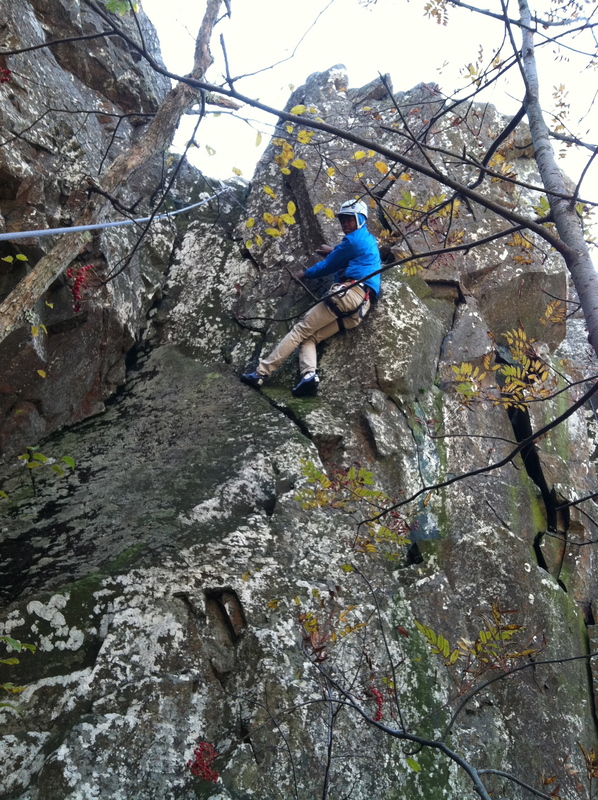 The course culminated in a field trip over Fall Break to Shenandoah National Park where we went climbing and repelling on natural rock. 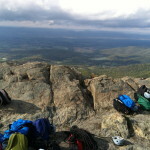 We trekked through a portion of the Appalachian Trail to our first spot called Mount Stony Man for rappelling. Although we were prepared to climb in drizzling weather, a lightening storm cut our time short. The following day we went to Mount Marshall for a day of real rock climbing. 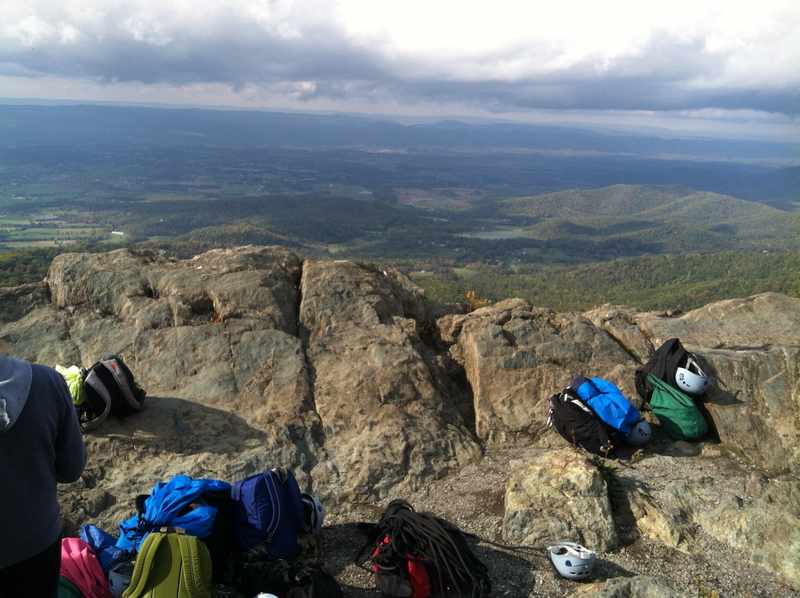 We set up anchors at the mountain summit and then prepared ourselves for adventures with harnesses and belay devices. Climbing the rock was much different than the rock wall at the gym in Adair Hall, home to the Kinesiology Dept., and rock wall at the SRC (student rec center). It was thrilling, and I believe each member of our class, including me, surpassed expectations for how well they thought they would do. The trip was a lot of fun and I continued to make great friends and lasting memories—I couldn’t have imagined a better way to spend my Fall Break! W&M has many different learning environments, and offers a wide array of diversity for students’ interests. The ropes course is one of many, but the dance studio, Lake Matoaka, and scuba diving pool are others. 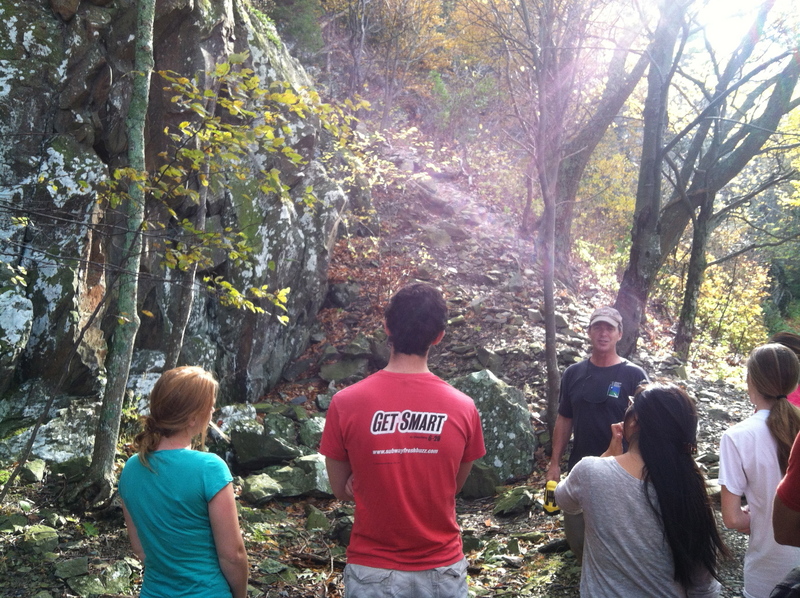 While at the College I encourage you to find new ways to engage and learn outside the traditional classroom setting.